Famed songwriter and performer Richard Shindell returns to Circle of Friends Nov 18th with special guest Michele Kelly. 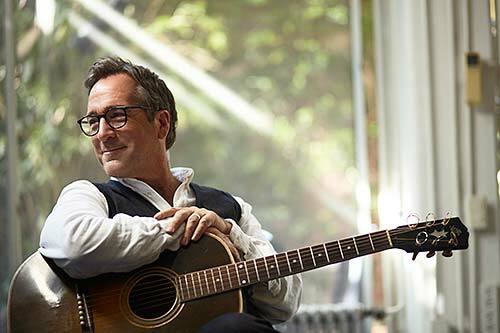 Noted songwriter Richard Shindell returns to the Circle of Friends Coffeehouse in Franklin on Saturday, November 18th at 8PM. "Are You Happy Now", "A Summer Wind, A Cotton Dress", and "The Ballad of Mary Magdalen" are just a few of his wonderful songs. An expatriate New Yorker now living in Argentina, Richard Shindell is a meticulous craftsman. He is a writer whose songs paint pictures, tell stories, juxtapose ideas and images, inhabit characters, vividly evoking entire worlds along the way and expanding our sense of just what it is a song may be. From his first record, Sparrow's Point (1992) to his current release, Careless (September 2016), Shindell has explored the possibilities offered by this most elastic and variable of cultural confections: the song. Richard is a part of the Cry, Cry, Cry trio with Dar Williams and Lucy Kaplansky. They recently completed a reunion tour which included a concert at the Wilbur Theater in Boston. Local singer and performer Michele Kelly will open the show. Michele has a lovely voice and writes emotive, thought provoking songs.